I like to question and subvert how we perceive things by making the known image uncomfortable and full of potential readings. Recurring themes in my artwork are: power of the gaze and tendency to objectify “the other,” the role of the spectator, and “Nature” as a cultural/political idea and anthropomorphic projection. My work suggests that representations of nature reveal more cultural, ideological, political and social frameworks, than actual nature. My ongoing series Natural History includes photos and videos taken in the American Museum of Natural History of viewers looking at the dioramas. 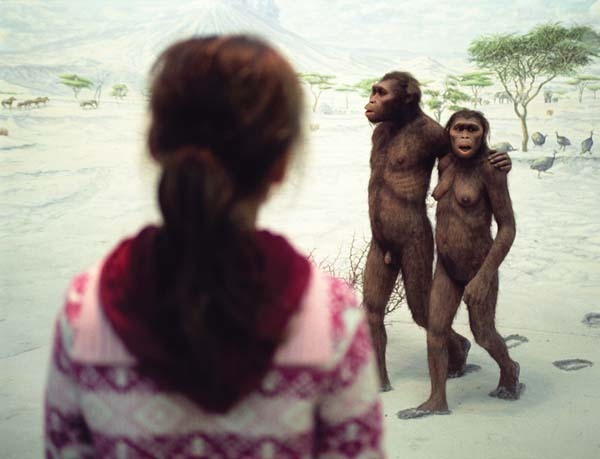 The photos suggest a continuous space and relationship between the viewers and the dioramas and point to the formal and ideological frameworks in the dioramas. In my latest video installation, titles Dissonance, the central subject is a trophy deer’s head, whose image is de-contextualized, displaces, fragmented and manipulated from multiple positions simultaneously. Frozen in time, the uncanny deer looks alive, except for details of its physical deterioration. 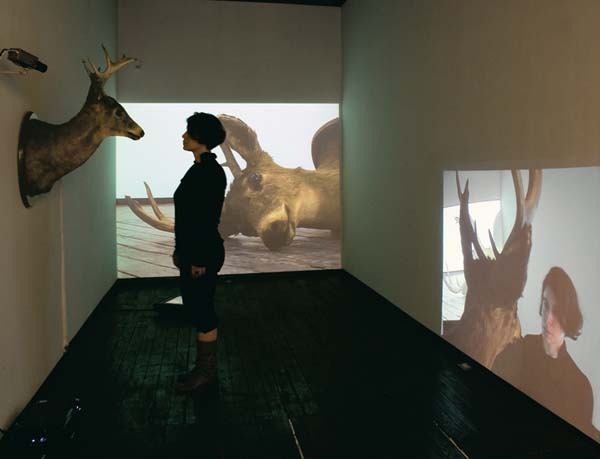 Removed from its original condition and context, the deer becomes the target of objectification and projections of meaning. Real-time and pre-recorded projections of surveillance video in the gallery dramatize the experience of being inside a work of art and position the viewer in a self-conscious, participatory role. The simultaneous viewpoints challenge preconceived ways of viewing images by placing the audience in a fragmented space, one that implies an exchange, while subverting the idea of sequential images as cohesive, linear narratives.